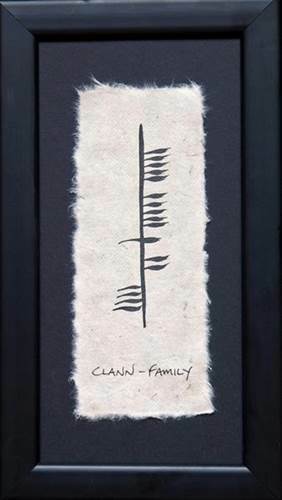 Home / Irish At Home / Ogham Wishes - Framed / Ogham Wish "Family"
Ogham Wish "Clann" meaning "Family" Makes a charming gift for any occasion. Each Ogham Wish is hand painted on hand-made paper. This wish is enclosed in a black wooden frame.